//greenronin.com/wp-content/uploads/2017/07/RoninBanner-1.png 0 0 Evan Sass //greenronin.com/wp-content/uploads/2017/07/RoninBanner-1.png Evan Sass2014-06-25 09:44:492014-08-22 17:45:48Icons Assembled PDF Preview: Icons Assemble! //greenronin.com/wp-content/uploads/2017/07/RoninBanner-1.png 0 0 Evan Sass //greenronin.com/wp-content/uploads/2017/07/RoninBanner-1.png Evan Sass2014-06-18 06:00:002014-08-22 17:45:48Icons Assembled PDF Preview: Ambushed by Evil! //greenronin.com/wp-content/uploads/2017/07/RoninBanner-1.png 0 0 Evan Sass //greenronin.com/wp-content/uploads/2017/07/RoninBanner-1.png Evan Sass2014-06-10 15:26:322014-08-22 17:45:48Terminus Probot Revealed! With various Dragon Age products in various stages of production but without a lot of news to give folks right now, I’m going to take today’s Ronin Round Table to talk a bit about something else I do a lot: making superheroes and supervillains. 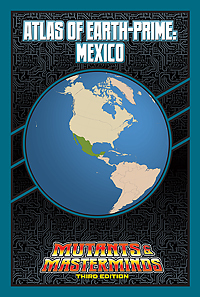 Particularly, I want to talk about making superheroes and supervillains from countries that aren’t the US (and to a lesser extent Canada, the UK, and other major Western English-speaking nations). 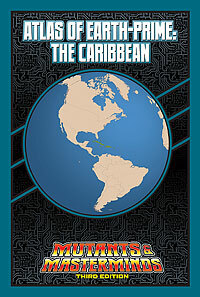 The Freedom City sourcebook for the second edition of Mutants & Masterminds was published in 2006. 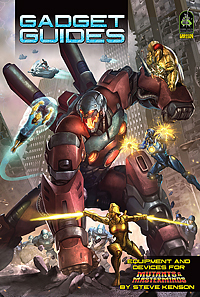 In the eight years since, Green Ronin has published numerous books and files expanding upon the world we’ve come to call Earth-Prime, and that process is ongoing, with the creation of Freedom’s "sister city," Emerald City, on the West Coast, and the publication of the Atlas of Earth-Prime, detailing the regions and nations outside the borders of the two great super-cities. Joining these two products (since the Atlas will eventually be collected into a single book) is the forthcoming new edition of Freedom City. Together, the three will form the main source material for the Earth-Prime setting, with some additional information on space, aliens, and places beyond Earth in the Cosmic Handbook. Now in our Green Ronin Online Store, you can get great deals on DC Adventures and ICONS Superpowered Roleplaying! This summer we’ll be releasing ICONS Assembled Edition in collaboration with Steve Kenson’s company Ad Infinitum Adventures. In the meantime, you can now buy the print versions of ICONS Superpowered Roleplaying and The Villainomicon! for just $15 and $10, respectively, or purchase them both in a bundle for just $20. 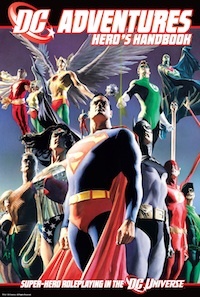 RPGNow is also celebrating superheroes, with great deals on DC Adventures right now. We have followed suit, putting all four DC Adventures books on sale in PDF and print! Get the PDFs for just $4.95 each, or pick up the print versions of DC Adventures Hero’s Handbook, DC Adventures Heroes & Villains Volume 1 and Volume 2, and DC Adventures: Universe, for great prices as well.